FEMA’s Dolf Willigers looks at sound this time and describes the legal issues. With the implementation of the Euro 4 standards, both the limit and the testing methods have changed. Sound is becoming an important issue and with the way some manufacturers deal with aftermarket silencers, we could face a scandal comparable with what NOx was for diesel cars. Sound is a sensitive issue in our motorcycle world, and has been for a long time. Who doesn’t remember the ‘loud is out’ campaigns at the beginning of this century? 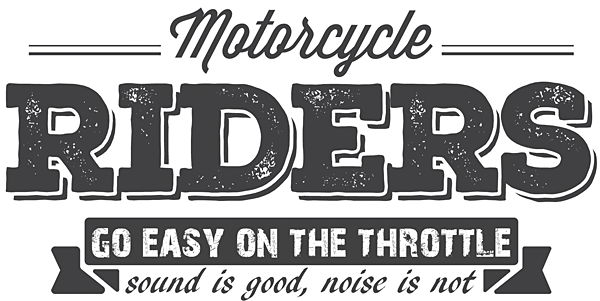 For some people the sound of their motorcycle cannot be loud enough. It is part of the motorcycle experience and of course ‘loud pipes save lives’. Other people have different opinions. Some of our member organizations even received complaints from riders and clubs about the noise that was made by other riders. Of course, fear about the image of motorcyclists plays a part in this. And then of course there are people who do not ride and claim the sound of our bikes constitutes an infringement of their well-being and health. Recently the European Commission published several papers in which the problem of noise was addressed and motorcycles were mentioned as an important source of noise. The European Commission also had a report written about sound emission from motorcycles, mopeds and other so-called L-category vehicles, like quads, e-bikes, vehicles for disabled persons, et cetera. The reason for this is that with the present Euro 4 and the coming Euro 5 standards, the limits are changed and might even be lowered further. The old limit of 80 dB(A) for motorcycles has disappeared with the adoption of the Commission Delegated Regulation (EU) No 134/2014 and is replaced by the standard from the UNECE Regulation 41, which is 77 dB(A). This looks like a huge reduction (an increase of 3 dB(A) means the sound pressure is doubled), but that doesn’t need to be the case. With the new standards the way the sound is measured has also changed. UNECE stands for United Nations Economic Commission for Europe. Let’s start at the beginning. 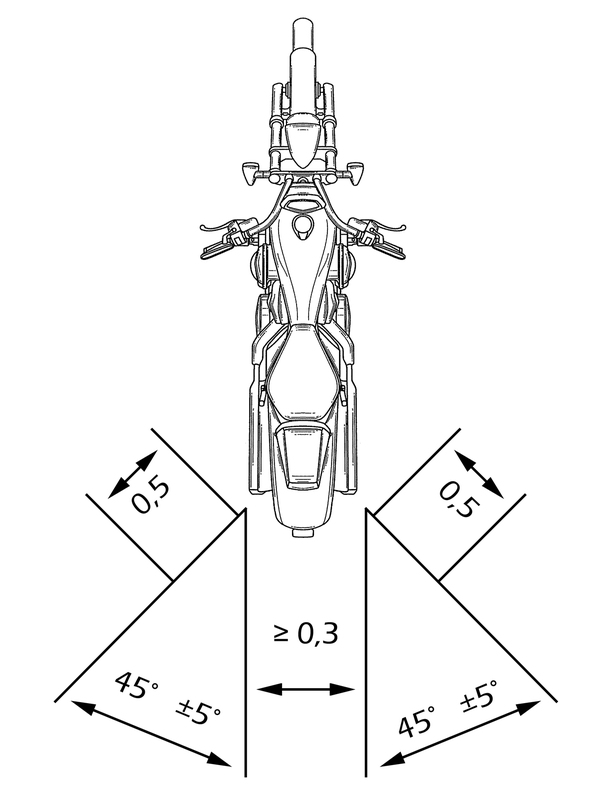 With the introduction of the Euro 3 standards the maximum sound a motorcycle was allowed to produce in the type approval test was 75 dB(A) for a small motorbike with a displacement of max 80cc, 77 dB(A) for a larger motorbike up to 175 cc displacement and 80 dB(A) for motorcycles with a displacement above 175 cc. This is measured with the Wide Open Throttle (WOT) test method. The motorcycle enters the testing area with a fixed speed of 50 km/h, 10 meters before the microphones it starts full acceleration and 10 meters after the microphones the throttle is shut completely. During all this time the microphones register the sound, that should not exceed the limits mentioned above. Of course, gear and all other kind of variables and circumstances are described in detail. Next to the WOT test the motorcycle is also tested stationary with (in most cases) half of the maximum engine speed. The sound emission in dB(A) and the engine speed with which it was measured are mentioned on the VIN-plate (see picture) for enforcement objectives. VIN stands for Vehicle Identification Number. With the implementation of the Euro 4 standards initially nothing seemed to be changed; the limits remained 75, 77 and 80dB(A). However, with the adoption of the UNECE Regulation 41 by the European Union the new standards are those of this regulation. 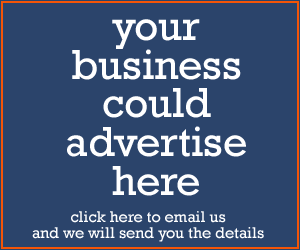 The above mentioned UNECE Regulation 41 has different limits. The Euro standards consist of three limits, that vary with the engine displacement of the motorcycle and only WOT tests to establish if a motorcycle does not make too much sound. ECE R.41 also knows three limits, but here it’s not the engine displacement that differs the limits, but a power-to-mass ratio index (PMR), that is calculated by dividing the nett power by the mass of the vehicle plus 75 kg and multiply the outcome of this exercise by 1,000. The outcome will for (almost) all motor be something above 50, which means that the sound limit for motorcycles is 77 dB(A). This looks like a very large reduction, because a decrease of 3 dB(A) means the sound limit will be around half of the present one. There is another difference though: the sound limit for the ECE R.41, which is written as Lurban, consists of a Wide Open Throttle (WOT) test and a test with fixed speed. So these new standards do not have to mean that new motorcycles will be more silent. Exhaust or silencing systems with multiple, manually adjustable operating modes, have to meet all requirements in all operating modes. The reported sound levels shall be those resulting from the mode with the highest sound levels. Removable bafflers or dB-killers will have to be installed in a way that they cannot easily be removed. UNECE Regulation 41 only concerns solo motorcycles. Other L-category vehicles are part of other regulations. For (amongst others) motorcycles with a sidecar, this is UNECE Regulation 9, which still has a limit of 80 dB(A). 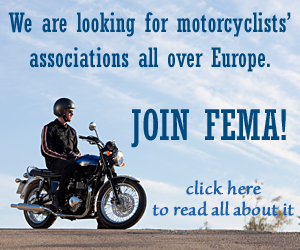 The European Commission now wants motorcycles with a sidecar to be part of ECE R.41. To conclude this part about the UNECE Regulations: aftermarket silencers have their own regulation, UNECE R.92. Mentioning UNECE R.92 brings me to the next subject. When an aftermarket silencer is fitted the sound may not exceed that of the bike with the original silencer. There are many silencers on the market that can be adjusted, for instance by a valve that can be opened or closed. Within the bandwidth and in the gears that are used with the type approval test, the valve is closed and the silencer does not exceed the sound limits. However, these silencers are programmed to have the valve opened outside this bandwidth and in other gears and then make much more sound. To avoid these situations, the UNECE Regulation 41 is extended with an ASEP (advanced sound emission provisions) annex. This is part of the regulation and extend the bandwidth by using a lower start speed of 20 km/h instead of 50 km/h. Making rules is only useful when they are enforced. If it concerns the type approval features it is simple: when the sound of a motorcycle or aftermarket silencer is above the limit, the vehicle or the silencer doesn’t get type approval and cannot be sold. If the vehicle is type approved and on the road, it is a different matter. As mentioned above, when a vehicle gets its type approval, the sound emission when running stationary with a certain engine speed is also measured. These values are known by the authorities. You can find the sound level and the corresponding engine rotations per minute of your bike on the VIN plate (vehicle identification number), which is attached to the frame of the bike. If you have an older type of bike (pre Euro 3) this needn’t be the case. In some countries you can find the sound limit and the rpm’s of your bike on the website of the national vehicle authority when you enter your registration number or chassis number. The police can use this information to check if your bike doesn’t produce too much sound at roadside checks. In many countries they go even further: the police officer doesn’t even need to measure the sound: when he thinks it is too loud, there is no E-standards mark on the silencer or the silencer is clearly tampered with, he can fine you and even forbid you to ride further. From information provided by our member organisations it becomes clear, that in most countries there is not much enforcement. The police focus on popular area’s like the Italian Alps and the river dikes in the Netherlands. Because roadside checks are almost impossible, the most common reaction of the police to clearly illegal exhausts is to summon the rider to get his bike inspected in a test centre. In some cases, fines are given on the spot. With this article I intend to inform you about the latest developments and the way the tests are done. Also, without being moralistic, I want to raise awareness that sound can change to noise. In the perception of one person this happens a bit sooner than in the perception of another person. Too much noise leads to annoyance, health complaints en eventually to counter measures, like closing off roads or even towns for motorcycles. We have seen this already in the Netherlands and Germany. That will hurt us all. For FEMA the standards do not need to be lowered again, but from excessive noise everybody suffers, we riders as well. Think about that before you remove that dB-killer or if you mount an illegal exhaust pipe. The vehicle is coming from the left and follows the line C-C. In principle, he has a constant speed of 50 km/h, but he can drive at a lowers peed and accelerate earlier, provided that the speed on the line A-A is exactly 50 km/h. When the front of the vehicle passes the line A-A, the throttle control shall be shifted to the maximum throttle position as rapidly as possible and kept in this position until the rear of the vehicle passes the B-B. At this moment the throttle control shall be shifted to the idle position as rapidly as possible. The microphones for the sound measurement are set at line P-P at 7.5 meters from line C-C. The full length of the test range is 40 meters. 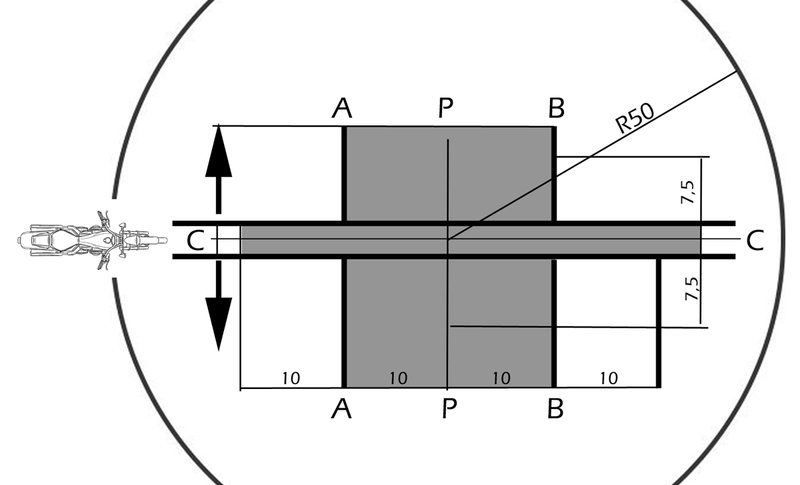 Within a radius of 50 meters measured from the centre of the acceleration area, no structures or other obstacles may be displayed which may reflect or affect the sound (shown with line R50). There are many other, highly detailed requirements for the test environment and the sound test itself. These are described in detail in UNECE Regulation 41. The microphone is positioned obliquely behind the outlet at a distance of 50 centimeters in a 45-degree angle on the vehicle’s longitudinal axis. In the case of a vehicle with exhausts on both sides of the vehicle, two microphones are used, situated on both sides of the vehicle. The height at which the microphones are placed is equal to the highest point of the outlet of the silencer, but not more than 20 centimeters from the ground. The measurement is done with the gear in freewheel and at an engine speed which is half of the maximum. If the maximum engine speed is less than or equal to 5,000 rotations per minute, then it is measured at a speed that is 75% of the highest achievable engine speed. The free space around the tested vehicle is at least three meters on all sides.